When Batman hit the airwaves in January 1966, its instant popularity led to an explosion of all kinds of Bat-merchandise -- including records! 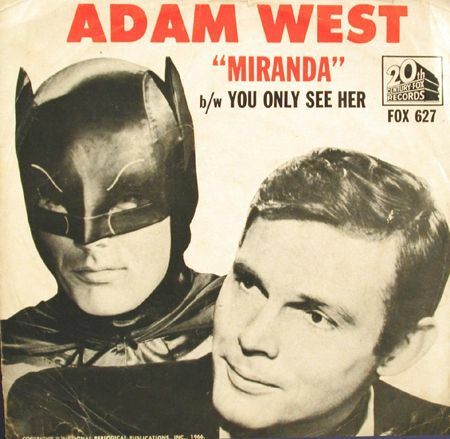 Singles and albums by musicians (Nelson Riddle, Neal Hefti) and actors (Adam West, Burt Ward, and some Bat-villains too!) associated with the show, as well as some with no connection who just wanted to ride the Bat-wave (for example, Dickie Goodman). In this episode, Tim and Paul count down their favorite Bat-records, a crazy journey in which we cross paths with Frank Zappa, Jan & Dean, the Allman brothers, and other actual professional musicians. With a nod to the late, great Casey Kasem, we present -- B-A-T 40!